A statue commemorating the life of the suffragist, Millicent Fawcett, has been unveiled in Parliament Square, as the campaigner again makes history in the fight for gender equality. 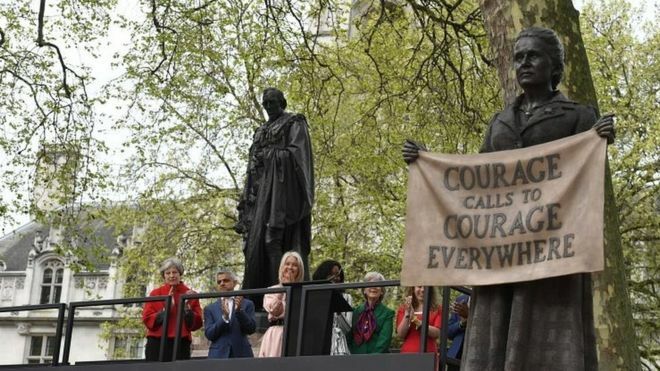 The bronze casting, featuring the prominent campaigner holding a banner reading “courage calls to courage everywhere” was created by artist, Gillian Wearing, and is the first statue of a woman to stand in the Square. It was commissioned as part of this year’s centenary of the 1918 Representation of the People Act, which gave some women over the age of 30 the vote and followed a campaign by the feminist writer and activist Caroline Criado Perez, who also led last year’s successful effort to get Jane Austen to appear on the £10 note. She said she came up with the idea for the statue when she was out running on International Women’s Day in 2016 and realised the only historical figures commemorated there were men. The 11 existing statues in Parliament Square are of Nelson Mandela, Abraham Lincoln, Mahatma Gandhi, former prime minister of South Africa Jan Smuts and former British prime ministers Sir Winston Churchill, David Lloyd George, Viscount Palmerston, the Earl of Derby, Benjamin Disraeli, William Gladstone and George Canning. 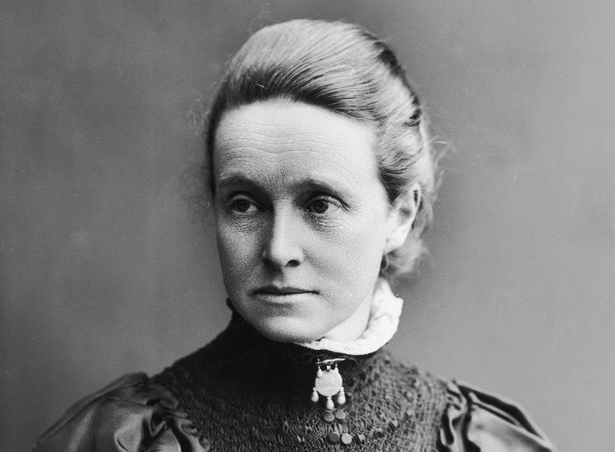 Millicent Fawcett campaigned for women’s right to vote during the early 20th Century and is seen as one of the most influential feminists of the past 100 years. She shared the same aims as the suffragettes, the more radical group led by Emmeline Pankhurst, but favoured non-violent protest. 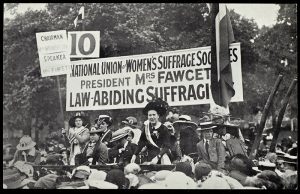 In 1897 she formed the National Union of Women’s Suffrage Societies, and played a key role in the founding of Newnham College, the second Cambridge university college to admit women. She died, Dame Millicent Garrett Fawcett, in 1929, a year after women were granted the vote on equal terms to men.